Surrounded by tons of classic New England charm, RVontheGO’s New Hampshire RV resorts bring you closer to sea salt breezes and fresh air forests that make this one of the most desirable vacation areas in the country. 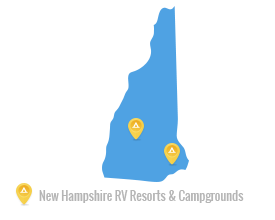 With close proximity to the ocean, miles of sandy beaches, mountains and spring-fed lakes, you can easily recharge your batteries here at the RV parks in New Hampshire. 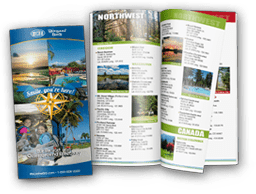 When you’re ready for a little more action, these RV parks put you in touch with New Hampshire attractions, such as the White Mountains, The Lakes Region, and the New Hampshire Coast. From New Hampshire RV resorts near the Atlantic Ocean to RV parks in New Hampshire’s inland areas, RVontheGO gives you different views of this beautiful New England territory. Visit us at New Hampshire and experience an exhilarating outdoor experience.